On May 25th, 2011, for the first time ever, this blog was down because my hosting account was suspended by JustHost, which I still recommend to anyone who wants to start blogging and do not want to spend more budget for a VPS or dedicated server. 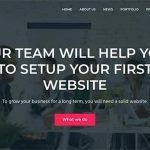 I am sure if you are not on the budget and want to have a selfhosted wordpress blog, you would not want to pay roughly $40-60 a month for hosting. 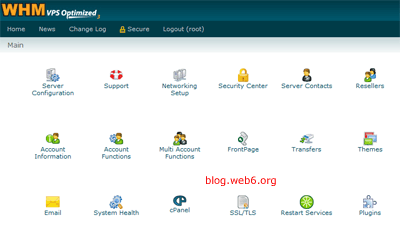 Another reasons why most bloggers who are beginners should choose a shared hosting than VPS or dedicated server is because they also should learn about cPanel from a beginner or simple level first. The reasons behind this is because when we use VPS server, it is completely different than a shared hosting, because we can say, you have to build your own cPanel. If I could choose, I would choose staying in a shared hosting because it is less complicated ( I feel it after I did move to VPS), and if you are like me, I would only want to blog, and not taking care of my cPanel as well. That’s what I thought after a while using a VPS. (managed VPS, and I use a VPS). The only problem here is a shared hosting can’t handle CPU usage, RAM, and those stuff once your blog or website gets really big and received a lot of traffic. I actually already opened a VPS account a few months ago, to try how it is actually using a VPS server before the big move to VPS. I noticed when my blog grows big and was still hosted in JustHost (they are really great this far!) I encountered some glitches for instance, some premium plugins don’t work sometimes, which is very seldom, but still worrying, so I had to activate it manually and so forth. Another glitch was sometimes I found “not found” thing when previewing post, which was really weird. At first I did not really think about it, because I thought it was the host. Well, no web host is perfect, so it can just happen. So I was thinking, “should I move to VPS now?”..but then I also thought before I did move to VPS, “how about my traffic, will my traffic stays the same if I move the host, move to VPS to be specific?”..I started to ask some bloggers who already moved their blogs from a shared hosting to a VPS, they said, their traffics are not affected. As about this blog’s traffic, I will update a post once I notice the difference after I did move to VPS. Because I have just did move to VPS 3 days ago, I can’t say anything about it yet. But when I looked into forums, there are some people who had traffic dropped heavily after moving a host..
Something like this stopped me from moving..
Then until that day, my blog was suspended because I exceeded 10% CPU usage policy which is totally understandable and making sense. After that day, I decided the moving..
Well, it was a frustating day, indeed. 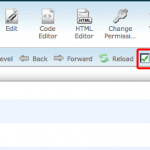 I moved this blog on Saturday, May 28th to a VPS server. So exactly 3 days after the “account suspended” message shown up in my blog. I needed 3 days because I still could not decide, moving, not moving, moving not moving thingy, and also I had to make the entire backup of my cPanel, databases, etc, basically all of files. After I make a complete backup of my two blogs, which is web6.org and this blog, I then decided the moving day, I was nervous! I have moved several blogs myself but I have never moved this blog which is also my biggest blog of all, and my main blog. So I did move my blogs by myself, starting with copying exact the same blog in the new server, then testing that new site if everything is really the same with the post, content, etc..
And then after the new site is really 100% same as this blog, I changed the nameserver settings. Moving from one shared hosting to another shared hosting is very easy compared to from shared hosting to a VPS. Though I did complete copy my sites, but I still needed some helps to the DNS zone pointing. Thanks to my VPS host provider which has really top notch support team, and helped me too. The WHM VPS Home interface. Thankfully, I could avoid the downtime of my site while the propagation was running, because of the old site was still alive. Move to VPS server was not an easy decission, but if it is for a better long run, I am happy I did it. 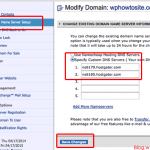 → BlueHost vs HostGator vs JustHost Which One You Should Choose? Congo For new Server. recently my blog moved to hostgator . And Good luck with new coming server and moving.